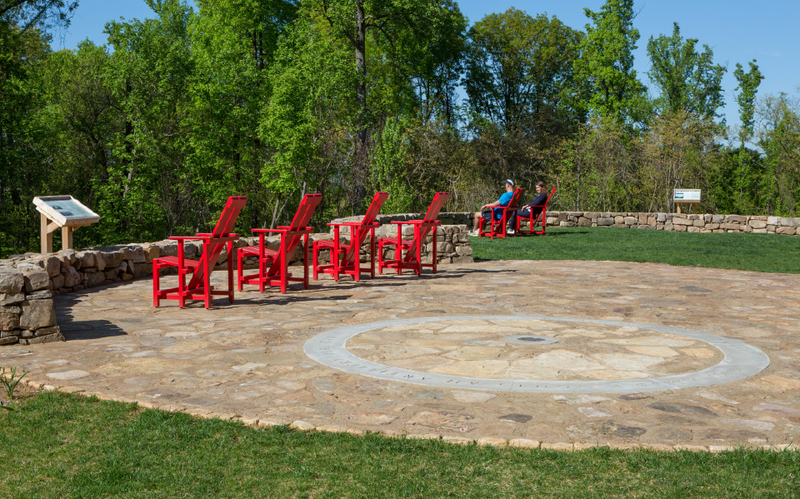 Perched along the ridges of South Knoxville, High Ground Park transformed once neglected and overgrown remnants from the Civil War into a park of beauty and substance, preserving its integrity as a historic resource and providing the public with open space and a rich cultural asset. 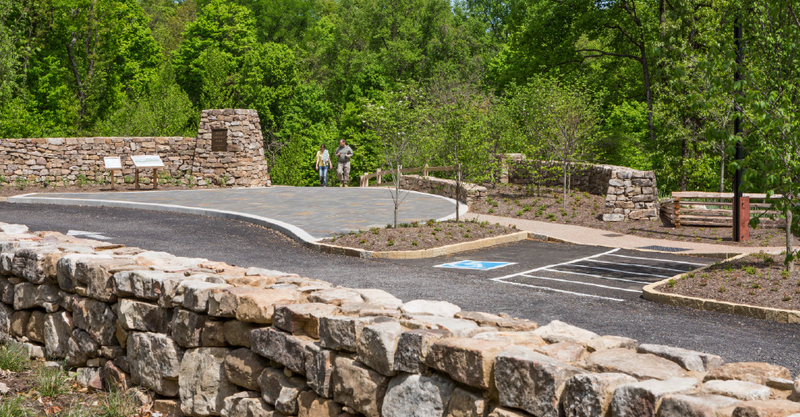 The newly constructed 39 acre passive use park encapsulates Fort Higley, a former Civil War fort, encouraging the public to explore the site and its history. 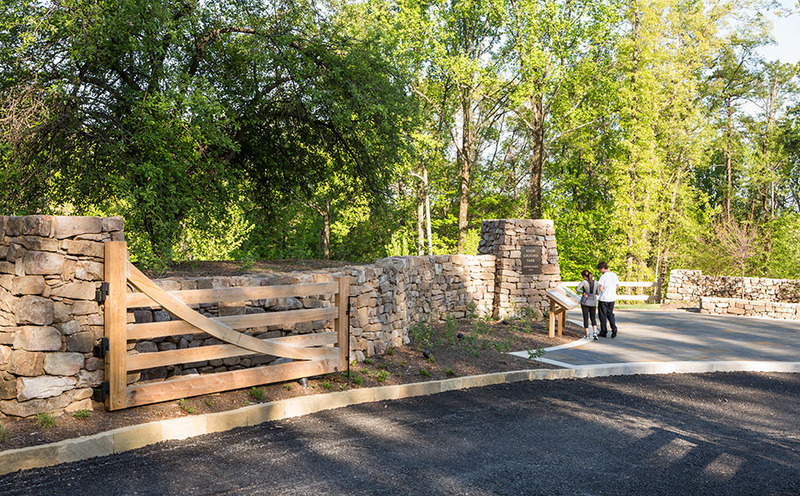 Parking with a trailhead and trail system, which includes interpretive exhibits, guides visitors to the fort comprised of earthworks constructed by the Union Army days before Knoxville’s most well known Civil War battle, the Battle of Fort Sanders. Until recently the site was teetering on the edge of destruction. In 2005, the Civil War Preservation Trust listed Fort Higley as a Top 10 Endangered Battlefield. 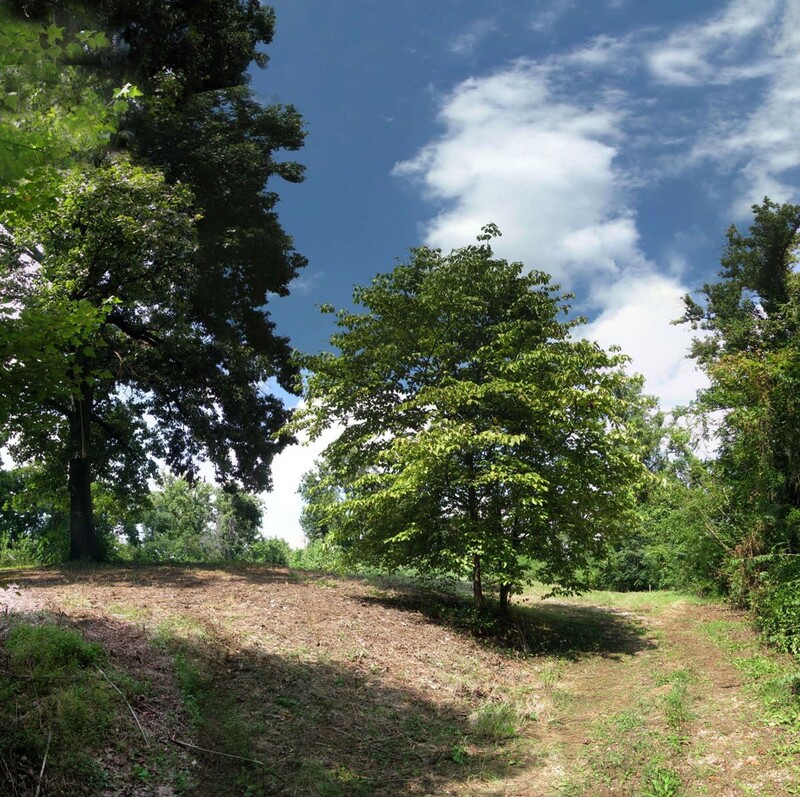 It became evident action needed to be taken to save one of Knoxville’s most unique and under-appreciated landscapes. 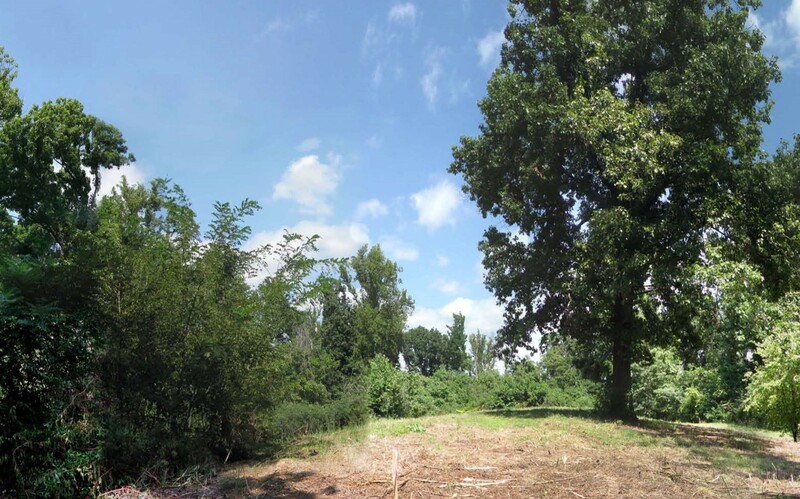 Recognizing the cultural and ecological significance of the land, Knoxville based non-profit, the Aslan Foundation, purchased the historic Fort Higley site to spare it from destruction. The property sat idle until CRJA-IBI Group was hired to develop a plan and program for the site. The outcome of these planning efforts is High Ground Park. 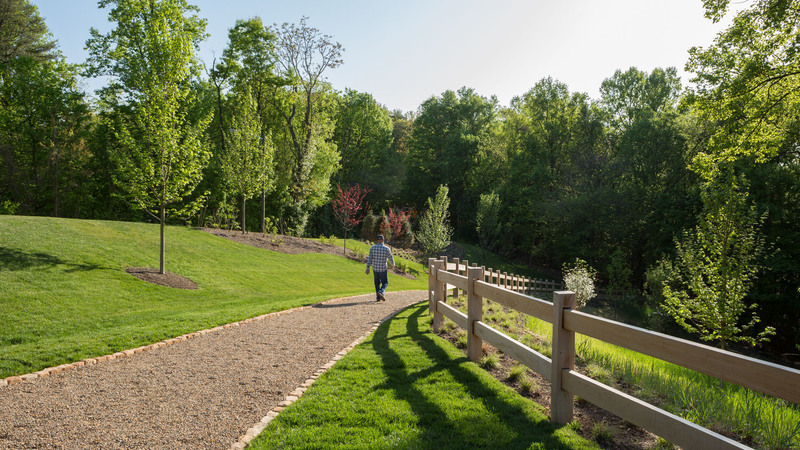 The park not only preserves and enhances the native landscape through low impact design, but also protects high-integrity remnants of Civil War defensive emplacements such as rifle trenches, a cannon redoubt and strategic military lines of sight. The map above shows the newly constructed layout of High Ground Park. Preserved Civil War landmarks, historic lines of site, and potential trail connections to adjacent land uses are also shown. 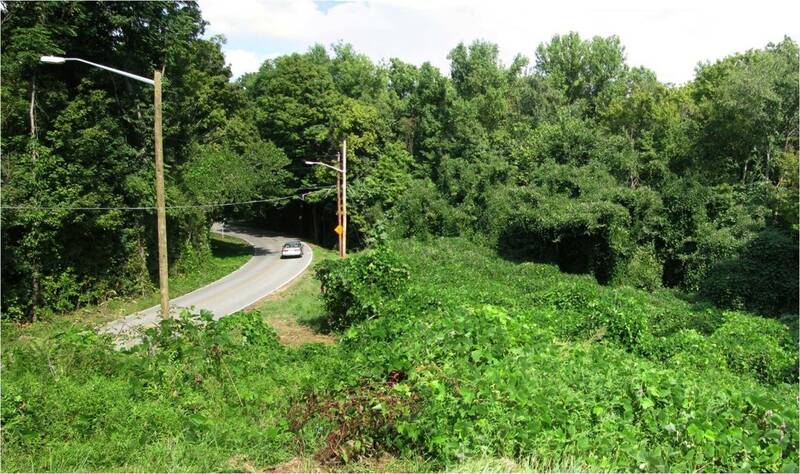 Pre-Improvements: Prior to the park’s construction, the site was overgrown with kudzu. The above image was taken at the future park’s entrance and shows a nearly impenetrable blanket covering the forest. Improved Conditions: As a first step in the construction process, an intense clearing project took place. Invasive species and hazardous trees were removed. The above image shows the primary trail leading visitors from the parking area towards the woodland. A constructed berm planted with native species separates the walk from the adjacent road. Pre-Improvements: An abandoned gravel driveway follows the hill towards the site of a former house. The homestead was located at the high point of the site. 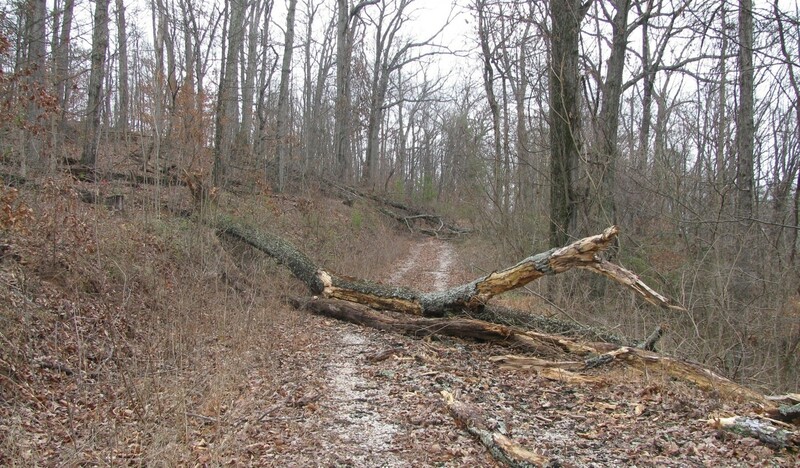 Fallen trees and debris were removed prior to the path construction. 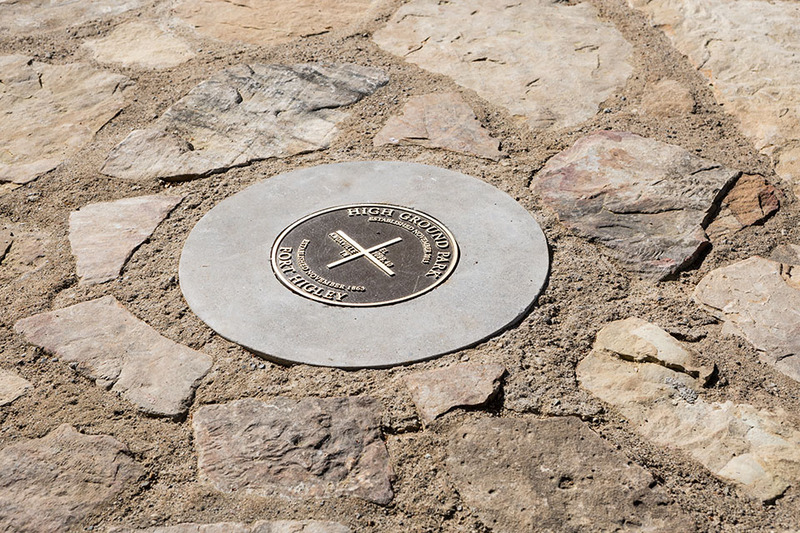 Improved Conditions:The primary trail was built on top of the old drive to minimally impact the natural landscape while preserving cultural features. 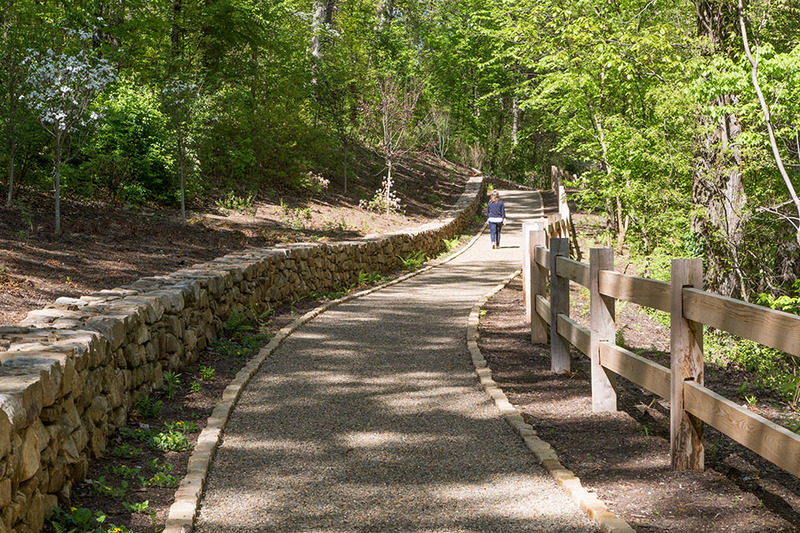 The new trail moves users through the woods and past significant historical landmarks such as an old Civil War road, rifle trenches, and cannon redoubt. Along the way, informative signs educate visitors on the former use of the site. Pre-Improvements:An opening marks the land which, at one time, had a residential use. Sparse plantings with patchy lawn dot the hillside. Improved Conditions: As the trail creeps towards the higher elevation, the landscape suddenly opens to the sky. As spring arrives, native meadow planting will flank the path. Great care was taken to minimally affect valuable vegetation. The design team carefully flagged the proposed trail layout in order to preserve as much of the landscape as possible. Pre-Improvements: A large red oak tree stands vigil against an impending attack of mimosa trees from the adjacent undergrowth. The dense brush impeded any vistas toward adjacent land uses. Improved Conditions:The oak now presides over a circular pavilion enclosed by stone seat walls. This is the highest elevation of Fort Higley. 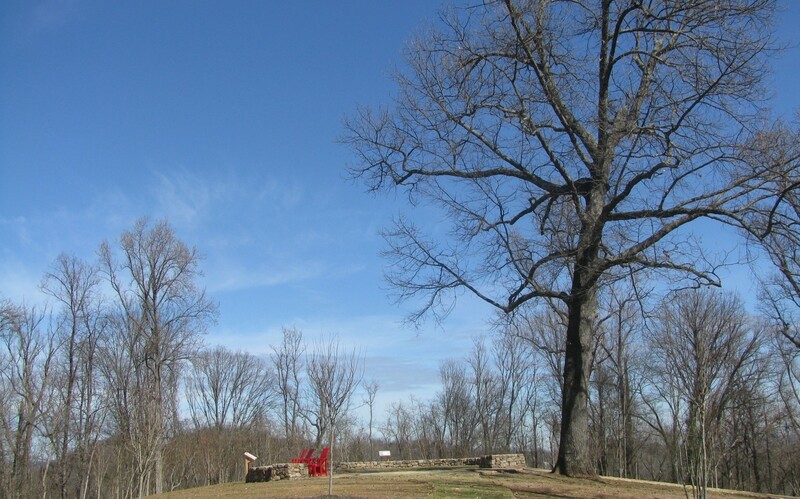 From here, views to the neighboring Fort Dickerson, downtown Knoxville, The University of Tennessee, and the Appalachian Mountains can be seen through the winter landscape. Careful tree removal enhances and frames these views whiles signs inform users of the significance of the location. As the team began conceptualizing plans for the site, materials selection weighed heavily on the overall design. It was quickly decided that the construction should utilize locally available, natural, durable materials in order to blend into the surrounding landscape while minimizing maintenance and creating a minimal carbon footprint. The parking lot is comprised of pervious asphalt, which captures and cools stormwater before allowing it to infiltrate the subgrade. Site lighting at the parking area consists of energy efficient LED fixtures with renewable wood bases. 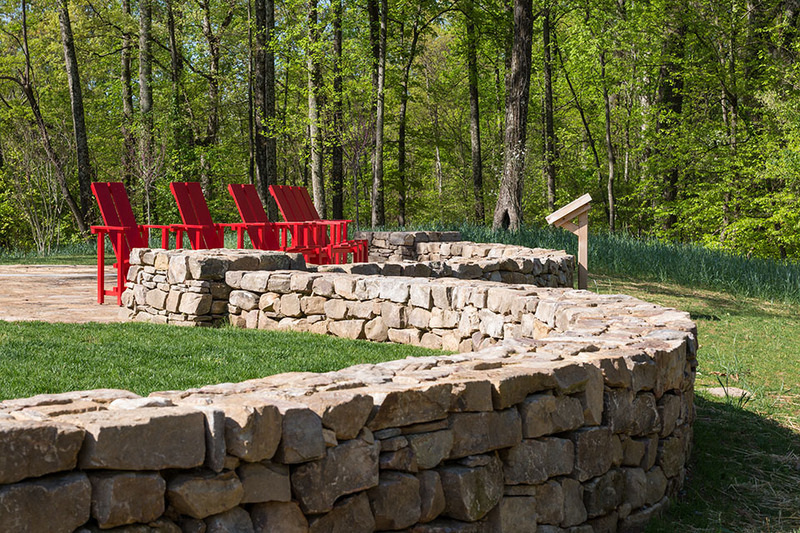 A seeded stone aggregate sidewalk guides visitors to a stone trailhead and welcoming area where stacked stone site walls and columns serve as a more formal entrance into the site. A traditional double rail wood fence runs along the primary pathway. 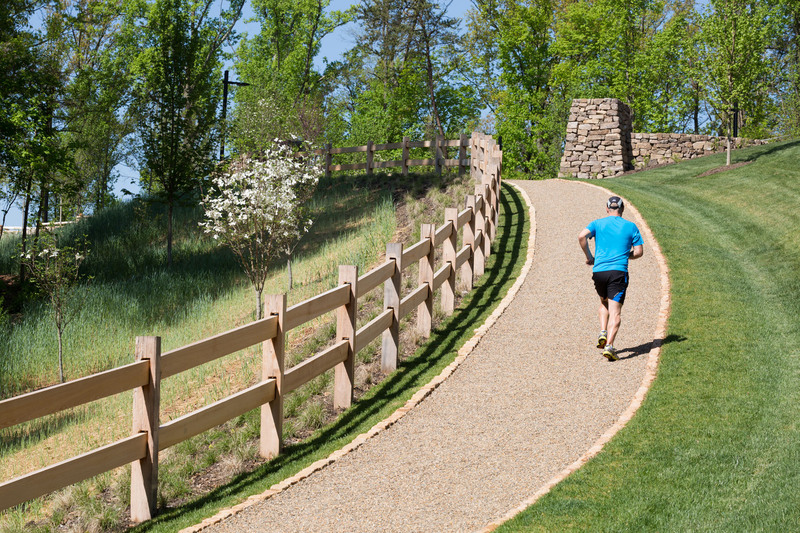 This main trail is comprised of small stone matching the aggregate used in the sidewalk adjacent to the parking area while the secondary path is comprised of wood mulch. As the user continues the journey through the forest, ferns parallel a stone seat wall while native rhododendrons and small ornamental trees dot the understory. The health of the forest has been drastically improved from its pre-development state. (Clockwise from top left) LED light fixtures at the parking area with wood bases from renewable sources; A durable, locust fence runs along the primary path, separating visitors from the woods beyond; The parking lot is paved with a permeable asphalt, allowing stormwater to infiltrate the subgrade; Small granite markers flank the mulched secondary path and guide visitors along the adjacent rifle trench; Prior to entering the site, stone walls with robust wood gates delineate the entry. (Clockwise from top left) The primary path consists of loose aggregate which is protected from runoff by larger stones flanking each side of the trail; The park directory provides a map for visitors about to enter the site, while adjacent stone columns flank the entrance; An inscription reading, ‘From these heights an artillery fire can be delivered …’ is etched in a limestone band at the high point of the site; Native rhododendrons enhance the forest understory; A wood gate serves as the maintenance entrance. 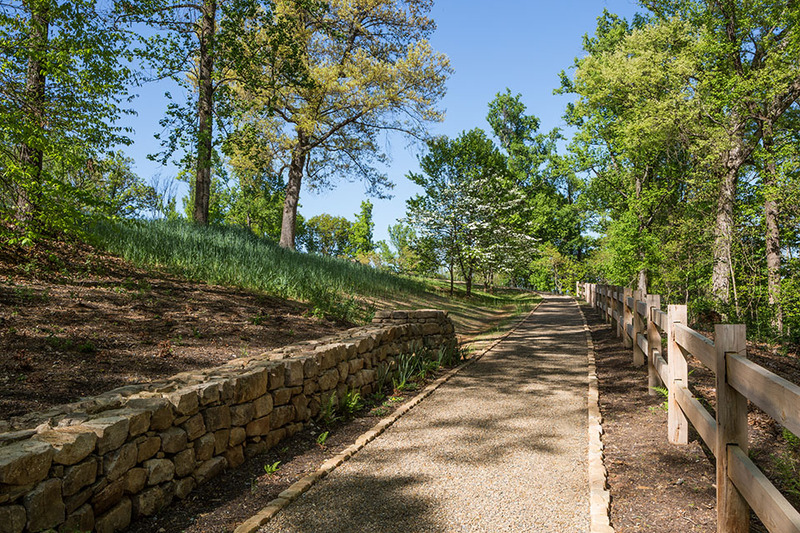 Where there was once a tangled mat of invasive vegetation hiding one of Knoxville’s most culturally significant landmarks, now sits a high quality park providing the public with opportunities for learning and an appreciation of nature. It is the hope of the owners and design team that High Ground Park will positively influence future park and open space development.